Now we have ‘India Tours’ at your finger tips. We have seen travelers holding a bulky tour guide, pouring their attention into the details of the book. The application will make it simple and easy to tour around India, download and enjoy 'Tours and Travel'. Serves as a mobile pocket guide, providing real time location based directions. 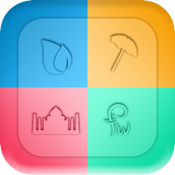 Helps you plan your trip with the ‘tour planner’ and share it with friends and family.